Katharine J. Nelson; Alexandra Zagoloff; Sandra Quinn; Heather E. Swanson; Claire Garber; S Charles Schulz (2014): Borderline personality disorder: Treatment approaches and perspectives. Clinical Practice, 11(3):341-349. Suzanne Witterholt; Katharine J. Nelson (2013): Dialectical behavior therapy applications for psychiatrists. Psychiatric Annals, 43(4):158-161. Katharine J. Nelson (2013): This Issue: Dialectical behavior therapy. Psychiatric Annals, 43(4):149-150. Katharine J. Nelson (2013) Managing borderline personality disorder on general psychiatric units.Psychodynamic Psychiatry, 41(4):563-574. Katharine J. Nelson; S. Charles Schulz (2012): Treatment advances in borderline personality disorder.Psychiatric Annals, 42(2):59-64. Hannah Betcher; Katharine J. Nelson (2012): A 44-year-old woman with intrusive thoughts. Psychiatric Annals, 42(8):281-283. David Baldes; Katharine J. Nelson (2012): An 84-year-old man with agitation. Psychiatric Annals, 42(12):449-451. Patricia J. Dickmann; Katharine J. Nelson (2012): A 43-year-old man with memory and behavior disturbance. Psychiatric Annals, 42(12):460-463. Katharine J. Nelson (2012): How to use patient-centered language in documentation. Current Psychiatry, 10(10):70. Katharine Nelson; S. Charles Schulz (2011): Pharmacologic treatment of borderline personality disorder. Current Psychiatry, 10(8):30-40. S.C. Schulz; R. Moen; M. Miller; B. Long; A. Romine; K. Nelson (2009): Borderline personality disorder: A review of treatment approaches. Minerva Psichiatrica, 50(4):309-318. 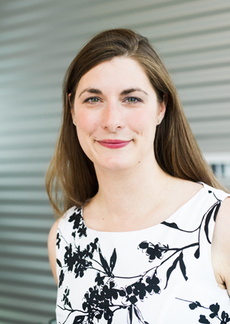 Katharine J. Nelson, MD, is certified by the Board of Psychiatry and Neurology and serves as Assistant Professor in the Department of Psychiatry at the University of Minnesota. Dr. Nelson is the Medical Director of the Borderline Personality Disorder (BPD) Program and was trained during residency in Dialectical Behavior Therapy (DBT).